UNIVERSITY of Georgia's fired cheerleading coach on Wednesday vowed to fight to get back the job she held for 12 years. In an interview with 11Alive News, Marilou Braswell (above) answered the accusations leveled by Jaclyn Steele, a Jewish cheerleader who claimed discrimination kept her off the football cheer squad. Braswell said religion was not a factor in how she treated Steele. A big part of Braswell's life is that she is a Christian, her husband is a pastor. But, she says, she never pushed her faith on her cheerleaders. "I would never discriminate against any of them. If I'm a true Christian, then that's what I'm called to do so is to love everybody, I love every one of my cheerleaders," she said. SO there were "subtle pressures" applied by Marilou in a religious sense. And the Anti-Defamation League wades in, both fists flying, and applies rather less subtle pressures to get this long term cheerleader coach fired. I know nothing about cheerleading, tho' I admit to a tiny curiosity as to what the cheerleader with the surprisingly unJewish name of Jaclyn Steele might look like. Perhaps Penthouse will now step forward with an offer. It is like a nasty game of cards. Cheerleader? Great. Beats my queen any time. Jewish cheerleader? Can't jump higher. Holocaust- survivor-Jewish-singlemother-cheerleader: the best. Royal Flush? Wait, Ah'll see you on that, ah've got a Holocaust surviving Jewish lesbian one-legged cheerleader in my hand. Uh, no, that one won't fly. I don't know much about cheerleading, except in the sense of the art connoisseurs who Knows What He Likes. I venture to suspect however that Ms Steele will not find herself a very popular member of the team from now on, in an activity which depends so much on teamwork. Years later, they cry out, "Why us?" 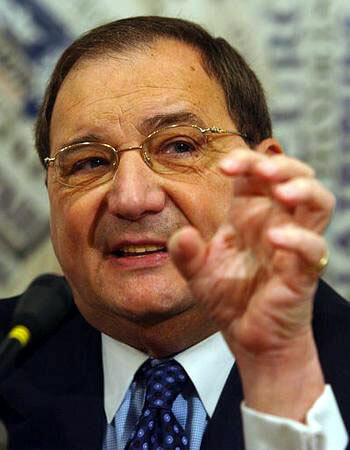 And Abraham Foxman (below) and his nasty gang of smearleaders at the ADL, who generate so much anti-Semitism by their antics, will be nowhere to be seen. UGA legal affairs, the Anti-Defamation League, and Steele, the cheerleader, disagree. Last year, Steele filed a complaint with university officials that Braswell discriminated against her religiously, that she was encouraged to participate in pre-game prayers, and was encouraged to go to Braswell's house for Bible study. "If they don't want to participate for some reason, then they don't have to," Braswell said. In an interview with 11Alive News, Steele's stepfather, David Bernath, said there were subtle pressures for cheerleaders to show up for Bible study. Braswell denied there was any pressure. "If they wanted to come, they were allowed to come," she said. 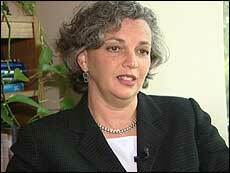 The Anti-Defamation League helped Steele with her complaint to the university. ADL officials said that the atmosphere was such that if you weren't Christian, and if you did not want to study in Bible study or in prayers, you weren't treated as well as the other girls. The most coveted cheerleading spot is football. Steele cheered football the first year, but the second year she was put on the men's basketball team, and the third year, she was put down to the women's basketball team. Braswell said the reason Steele (above) was not placed on the football cheering squad was that "there were six girls better than her. That's it. Bottom line. It's so close, so competitive and she just did not make top six." UGA officials placed Steele on the football squad without a tryout, which is mandated each year, following the allegations. Already on probation, Braswell read a statement to the cheerleading squad about why Steele was placed on the football squad. Afterwards, university officials fired her for what they call "discourteous and disruptive" behavior. Bernath said the allegations had nothing to with making the football cheering squad, adding that Steele didn't even want to cheer this year, but is because of all that has happened. Braswell is appealing her firing and will be meeting with athletic director Damon Evans sometime next week. "I took this issue on because I love the University of Georgia and wanted to help restore integrity to its cheerleading program," Steele, who is Jewish, said in a statement released by the Anti-Defamation League. 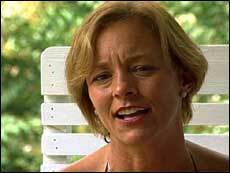 Cheerleader coach Marilou Braswell had been warned not to push her religious beliefs. "I appreciate that the university administration took my complaint seriously, investigated the situation fully, and took appropriate action. I look forward to continuing to cheer for UGA and to working with my teammates to be a first-rate squad." Braswell, who wants her job back, delivered her letter of appeal Thursday to Georgia athletics director Damon Evans. She left "in about 60 seconds," said her husband, Matt Braswell. "It was a very, very brief meeting," Evans said. "I thanked her for coming. I told her I would review the appeal and get back to her within the next five days." If Evans does not overturn the termination, Braswell's appeal will be forwarded to the university for formal grievance proceedings. After investigating Steele's claims that Braswell's Christian teachings pervaded the cheerleading program, UGA granted the senior from Marietta a fourth year of cheerleading eligibility and "recommended" that she be placed on the football squad without participating in tryouts. Athletics department policy limits cheerleading participation to three years. UGA placed Braswell, who held weekly Bible studies in her home, on 12 months' probation in November. Braswell was warned in writing by Evans to have "no more religious overtones in your program" and to be careful not to violate UGA policy by retaliating in any way against her accuser. Braswell allegedly violated that probation when she read a prepared statement to the squad on Aug. 7 explaining why Steele was on the team despite not trying out. Micah Redden, 27, is a former UGA cheerleader who claims to be agnostic. He said he was on the 2001 squad with Steele and agrees with her about Braswell showing favoritism toward Christians. "I've seen it; it's been going on for years," said Redden, who is from Snellville. "She crossed the line, she needed to go and she needed to go on a cheerleading basis anyway. The interview process of the tryout had a slant toward Christianity. That was always a strong undertone, if you will."